It's all explained in the book! 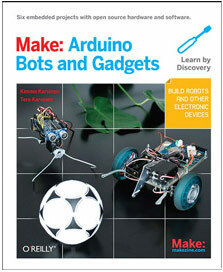 Make: Arduino Bots and Gadgets explains each source code. You'll learn to understand both the physical phenomena and the protocol for talking with the sensor. This source code package is just to save you some typing. In most desktops (Linux, Windows, Mac), just double click the zip file to open it. In Raspberry Pi and other Linux command line, you can open the zip file with: 'unzip make-sensors-code-*.zip'. In Raspbian (Raspberry Pi), you might need to install unzip with 'sudo apt-get install unzip'. What are you inventing and building today?